Who doesn't love a good dose of entertainment to get over a stressful work week? To help you get your weekend planned out on a budget, CouponCodesMe curates some of the best deals in Saudi Arabia! Whether you're in Jeddah, Riyadh or Dammam, great discounts and offers are on sale, all day everyday on CouponCodesMe. Search through our Media & Entertainment category to find coupons and promo codes for travel, shopping, dining and much more! Avail 5% off all plans, pricing & susbcriptions at Vyond when you apply Goanimate promo code at checkout after signing up for a new account or signing in to an already existing account.Goanimate promo code is vaild for annual, monthly and quarterly plans. 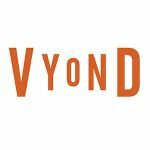 Flat 10% off all plans, pricing & susbcriptions at Vyond when you apply Vyond Coupon Code at checkout after signing up for a new account or signing in to an already existing account.